Description: The clues for a close-to-the-heart missing person’s case heat up when Chris Matheson starts chipping away at the ice on the cold case. Have you ever heard of a dog playing blackjack? I know that I have not, Lauren Carr has brought us a book with another dog. We meet Chris Matheson and his family in this very entertaining book. They are a mystery every time we turn the page. I would call this a page-turner with a twist and turns with each time you decide to turn the page. What book club is Elliott trying to get Chris to join? There mysteries and secrets too from the beginning to the end of the book. Do we have a serial killer on the loose? Who after Chis Matheson and why is the town believe that he killed Sandy Lipson and her baby? Lauren Carr does not disappoint. If you have not read her other books then I suggest you do. ICE is only book one of her newest series. I look at this Sterling and say he may have Gnarly by entertaining you. Gnarly and Sterling should team up and see what they do together. Will Chris Matheson and his buddies solve the cold case? There seems to be quite a few twists and turns you will not be able to guess some of the crimes. There are a long of death and crime through this book but that is cause it is crime fiction and a mystery. 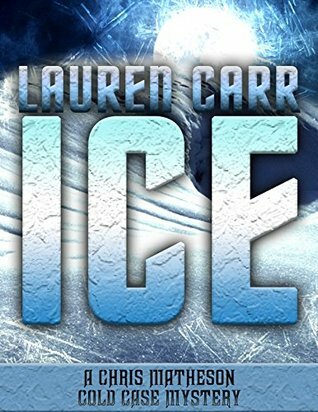 I would also suggest that you if you are the fan of both or Mystery and have not read Lauren Carr other books. Then you are missing out. Once you read one you are going to want to read her other books. 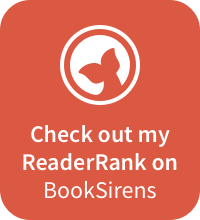 You can check out my reviews for The Mac Faraday Mysteries, Lovers In Crime Mysteries, The Joshua Thornton Mysteries, Thorny Rose Mysteries. You can add ICE to the list as well. I can not wait for book two of this series. I can not wait for to pick up another Lauren Carr book soon.